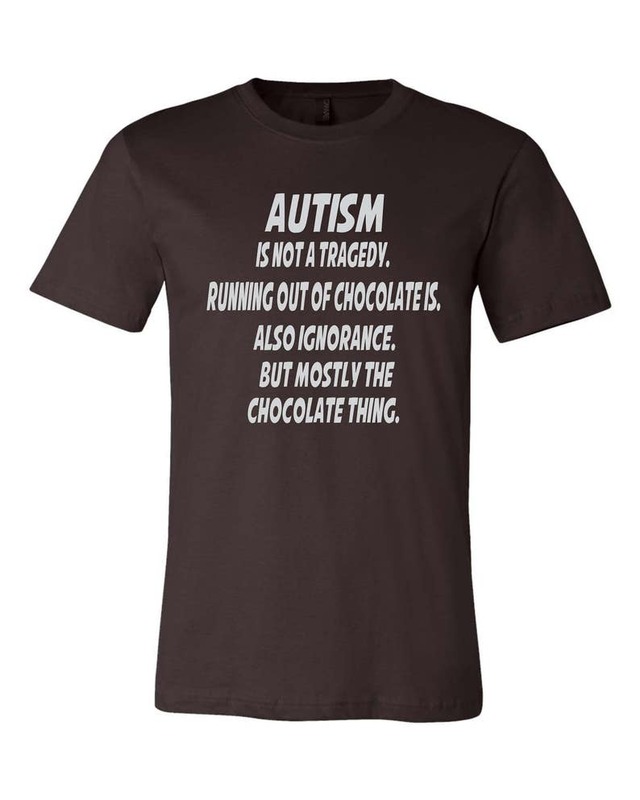 Autism Is Not a Tragedy, Running out of Chocolate is. And Ignorance. But Mostly the Chocolate Thing. Brown shirt with Silver lettering...YUM!!! !